Do you remember what you were doing on March 12th, 2010? 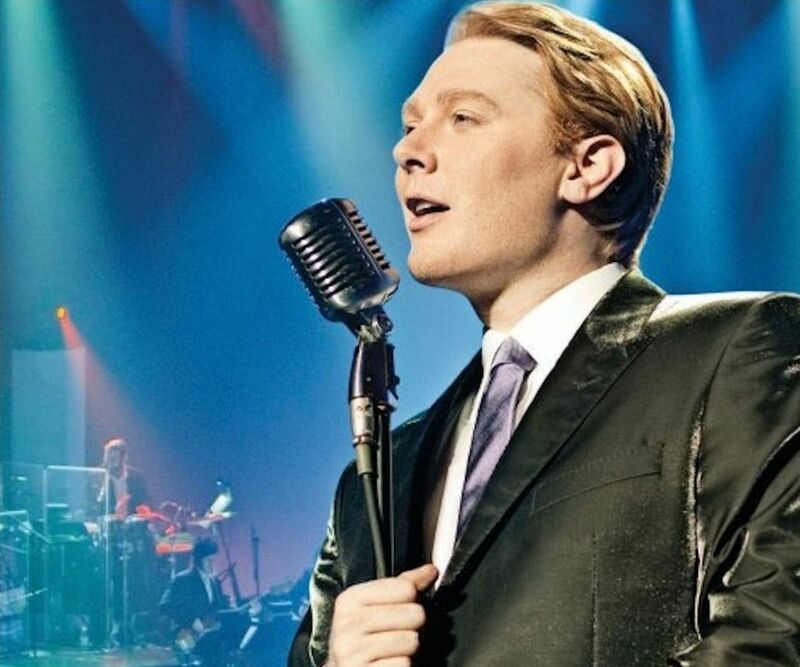 For many Clay Aiken fans, this date will bring back memories of the taping of the PBS special at the Raleigh Memorial Auditorium. 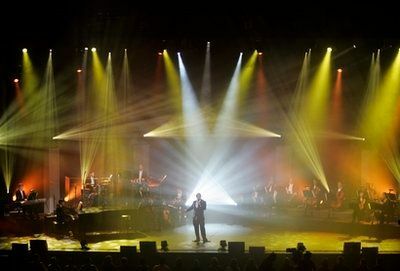 The concert, lovingly called the “OMG” Concert was the beginning of a year of wonderful live music, a new CD and DVD and many PBS specials on TV. I was lucky enough to attend the “OMG” concert three years ago. I looked up what I wrote about the concert and thought I would share it with you. 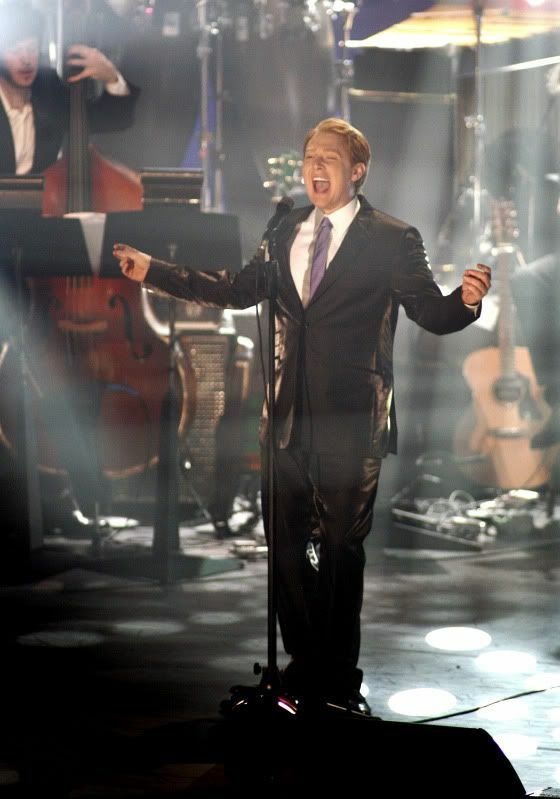 Clay Aiken’s back in town and he is better than ever! Tonight’s concert was beyond the wildest expectations of the fans in attendance. It was a treat to see Ruben and Clay together again. I had forgotten what a beautiful voice Ruben has. The surprise of the evening was the guest appearance of Linda Eder who is one of the best female vocalists performing today. Linda joined Clay in singing the song, Crying. Clay announced that Linda recorded the song with him for his new album. The evening was beyond even the highest expectations. I wish that every one of you could have been there to celebrate this wonderful performance. Attending this concert in Raleigh was one of the most exciting nights I can remember. It is still close to the top of the list. One of the magic moments was hearing Clay sing Unchained Melody. The arrangement by Ben Cohn was amazing and Clay really made the song his own! And I will always remember the wonderful tribute to Clay’s teachers. 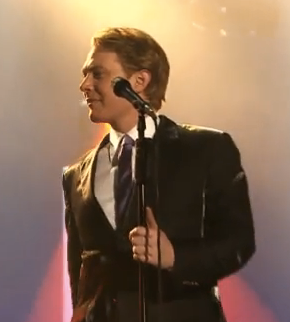 There is just something special about Clay Aiken. His heart is filled with love and respect of those who have helped him grow into an outstanding young man! Oh I sure was there too musicfan! That was the night that we experienced the exhilarating airplane taking off feeling when we heard the new version of Unchained Melody!! Lordy! That's why we called it the OMG concert!! We were whooshed and thrown back in our seats! Wow! What a night!! Was it only 3 years ago??? I was there also. It really was a magical evening. OMG, indeed!!! Was so glad to be a part of it all and just had to keep pinching myself!! Still LOVE "Tried and True" and "Steadfast". It was so special to be there and hear him sing those songs live before the CD was released. I was there too! That was one of my top Clay events in the last 10 years. The OMG concert title fit that night perfectly! I have such great memories from that night-just wow-wonderful! there was not a second of disappointment – it was just as fantastic as you described, Musicfan! Gaymarie…I know what you're saying. It was a moment of "What was that"?????? OMG I had chills running through me, and I just stood there like a deer in headlights. It was totally amazing!!! The thing is, to truly understand what we're trying to say, you have to see Clay live. His voice is so powerful, that it overtakes a room. In a good way!!! Not screaming, just so amazingly powerful. The video does not capture that moment as it really was. Clay has the most pure voice out there, and he should be heard "live". Thanks for the reminder of this special date Musicfan. It will be a moment that I will never, ever forget. All we could say was "OMG", that note!!!!!!!!!!!!!!!!!!!!!!!!! I get chills now just thinking of it. I was there, too. What a spectacular evening! Clay was at his polished best. I especially remember Clay coming out into the audience to meet the lady who had travelled 17 hours on a bus to get to the concert. She must have been in heaven, when Clay gave her a hug! When Clay sang Moon River, the "fog" rolled off of the stage and looked like it covered everyone in the front 2 rows. It sure was a surprise when Ruben came on stage. Still friends after all this time. So warm and wonderful. Raleigh is a very nice town, great museums. No wonder Clay went back to live there. That was beautiful! I have the dvd of the concert, it must have been great to see it live, thank you Musicfan xox. O.M.G. This was my FIRST ever Clay Aiken concert. I started in 2009 and spent one year eading up on him. Then I went to this concert in 2010. O.M.G. He blew the roof of the auditorium that night. Words cannot describe, his singing does things to you. I opened up like a flower in full bloom. I smiled from ear to ear. I was blasted to the heavens and back. His talk with the audience, with fans was so natural, heartwarming and entertaining. Melted into my seat after Unchained Melody, stunned, had no idea what he did but it was amazing, powerful and out of this world. Fell in love with "It's Impossible" from that night on. O.M.G is really all you can say to something so indescribable. I came out of that place a different person. The OMG concert was amazing from start to finish. I would love to re-live that evening again. Well, I didn't make it to Raleigh…but, there was a cellcert that night..and we all had a ball. Then we saw the video's and almost died…especially UM. What an OMG job he did on that one. That was a great show and still listen to my TnT Album all the time. BTW…Has anyone seen how Justin Timberlake has copied Clay's look from that show? From the hair..right down to the shiny suit. Geesh..wouldn't you think he could think something up on his own? Who do you think is the best? Clay..Clay..Clay! Lol! Error: Error validating access token: Session has expired on Tuesday, 21-Aug-18 16:13:01 PDT. The current time is Friday, 26-Apr-19 00:23:57 PDT.